“This Setup Must be Launched from an Elevated Command Prompt”, are you getting similar error message while trying to install program on Windows 7 operating system? Also, you may be getting “access denied error” while trying to execute few commands in Command Prompt window. You can easily fix them by opening Command Prompt with Administrator (admin) rights and Privileges using following procedure. 1. Click Start button & type cmd in the box. 2. 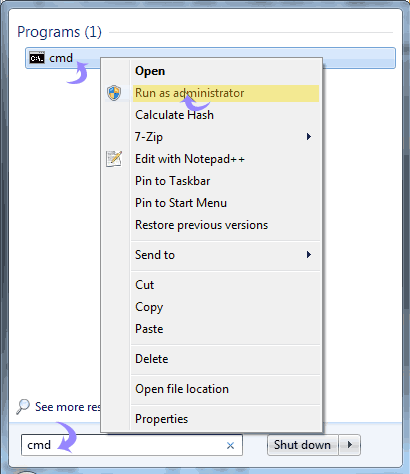 Right click on cmd & then click “Run as Administrator” option. 3. This should open command prompt with admin rights. Whats New in Windows 7 tour animation is Cool!